Cars have become an essential part of our lives in today’s modern world. There is an automobile for every kind of person in the world. People buy these vehicles according to their preferences and the functionality that these vehicles can provide. For example, if someone prefers to go off-road more often, then they would buy an SUV. Similarly, if someone is a family man with multiple kids, then a station wagon is the perfect choice for them. If someone was a business owner with some extra cash to splash for their choice of automobile, then they would definitely go for a luxury car. Luxury cars are definitely in a league of their own. They offer out of this world comfort in terms of ride quality and overall ambiance of the interior and exterior. This is why luxury cars are also astronomically more expensive than the normal automobiles. 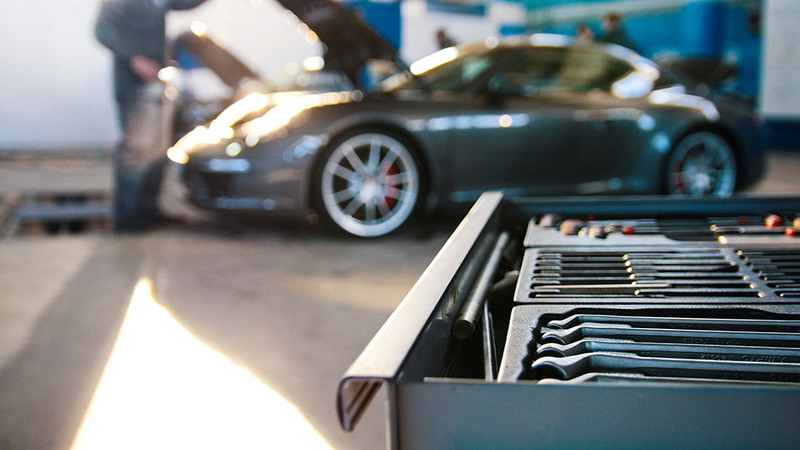 Since luxury cars have fairly more components installed inside and outside them, they require frequent maintenance. If you own a luxury car, then you need to make sure to never avoid its regular service. Get it serviced every month by taking it to the best luxury car auto repair in Southlake, TX. Every automobile, luxury or not, is equipped with many sensors throughout its body. These sensors measure all the essential information about the ride such as tire pressure, engine temperature, oil levels and many other things. If there is any irregularity, then the sensor is triggered and the driver receives an indication on the dashboard in the form of light signal. If you receive any kind of warning light, then you should never ignore it. Since you own a luxury car, the sensors in your car are much more accurate than in the normal automobile. Therefore, immediately take your car to the best luxury car auto repair in Southlake, TX, if you spot any warning light. Modern luxury cars are designed to be as quiet as possible. The luxury cars produced today are so quiet that you can barely even hear the engine when you accelerate the car with full throttle. So, if you start hearing unusual noises coming from your luxury automobile, then something is definitely not right. The noises coming out of your car mostly indicate towards a mechanical problem. You need to focus on the sound in order to diagnose it. If you hear a metal part scraping the tarmac as you drive along, then it means some parts of the car are dangling around beneath it. If you hear weird noises after every gear change, then there might be an issue with the clutch. Therefore, you just need to take your car to the best luxury car auto repair in Southlake, TX, after hearing any kind of unusual noise. If you notice a puddle of liquid beneath your luxury car every time you park it somewhere for a long time, then there is definitely something leaking out of it. Cars today have so many different fluids inside them. Each fluid is important for it to function properly. Luxury cars, on the other hand, have even more types of fluid inside their body because some of them are put in them for luxurious purposes. Therefore, leakage of any kind of fluid means there is a bigger problem with your car. To avoid that, simply take your car to the best luxury car auto repair in Southlake, TX. Modern luxury cars are designed to be as smooth as possible on the road. They have the best suspension and tires that you can find in the market. However, as every other thing in the world, these tires and suspensions also have a certain age. After they get significantly old, they need to be replaced with the new ones. Otherwise, your car will start to vibrate. Vibrations in a car that costs 2-3 times more than an average sedan is simply not acceptable. You need to make sure the tires and the suspension of the car are in excellent condition. Sometimes, the source of the vibration is the loose engine bolts. If that is the cause for your car, then you need to get it fixed to get rid of the uncomfortable vibrations. Take your ride to the best luxury car auto repair in Southlake, TX, and get those engine bolts tightened. Modern luxury cars have a state of the art exhaust system that gets rid of the smoke before it even exits the tailpipe. Therefore, if you notice any kind of smoke coming out of the backend of your car, then it clearly indicates that something is wrong. Another area that might emit smoke is the engine bay. If there is smoke coming out of the bonnet, then it could mean that the car is overheating. You may have run out of coolant or the oil level may have dropped. In any case, smoke coming out of the engine is never a good sign. You need to park your car immediately on the side of the road and turn off the engine to let it cool down. Call for the best luxury car auto repair in Southlake, TX, to send their mechanic to fix the car immediately. If you are looking for the best luxury car auto repair in Southlake, TX, then there is no one better than Import Car Center. We specialize in import luxury cars such as BMW, Mercedes-Benz, Audi and Jaguar. Visit us today if you have any issues regarding your luxury car. We will be happy to serve you.